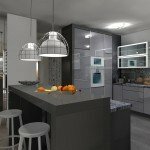 Designing kitchen is a challenge for each interior architect. The need to place multiple pieces of equipment in not always enough space that makes you must have great spatial imagination in order to keep such a project in aesthetic and functional frames. At the level of functionality problems arise together with the selection of finishing materials, as only some of them can be used in rooms with high humidity and periodically high temperature. 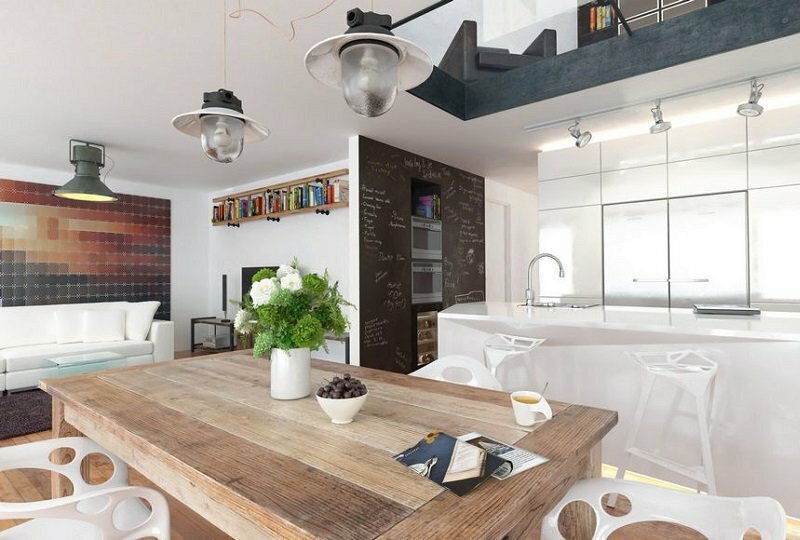 Interior architect understands that durability of the arrangement depends on the choice of finishing materials, but also the well-being of people staying in the kitchen – the accumulation of moisture and heat do not aid well-being. Kitchen is the room that everyone uses in individual way. Because of what and how it is cooked, what height is a kitchen user, the basic project should include some changes that will increase the comfort of work in the kitchen, but did not remain without influence on the aesthetics. It is particularly important in small kitchens which, despite limited space, must be fully professional. 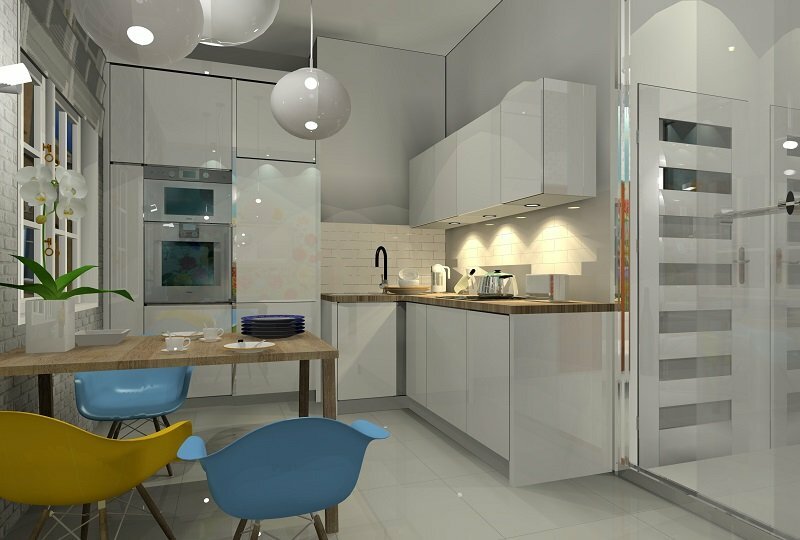 While the wardrobe can be moved to another location without losing the functionality of the arrangement, it is not the case in the kitchen – you can change the spatial orientation of the individual pieces of equipment, but even this sometimes can be difficult, but the removal of any component can cause the kitchen will be completely non-functional. Good kitchen designs come only from the hand of the best architects. There are many general rules, the use of which is supposed to simplify the design of the kitchen, but in practice it turns out that most of these rules is not sufficiently universal and every time the project is a kind of improvisation. 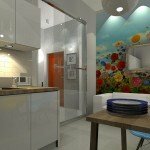 However, during the formation of the aesthetic space designer took into account all of the required functionalities, it is necessary to co-operate with you, because if there is a room, which you can say that it is always designed for a specific person, it is just a kitchen, as its functionality is determined by a few general principles, and besides, only your individual requirements do matter. For the same reason, it is best if the designer retains the author’s right to supervision over the implementation of the project, which functionality literally centimeters may prejudge. If you make a mistake at the stage of implementation, only aesthetics will remain, but not functionality. Kitchens, in contrast to bathrooms, did not change significantly their role. 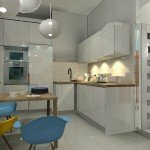 While we can clearly see the increase od interest in the idea of the kitchen as the focal point of your home, so combining it with a living room and some expansion, when it comes to the surface, however, in terms of function kitchens designs were not gripped with revolution similar to that which swept the designs of bathrooms. 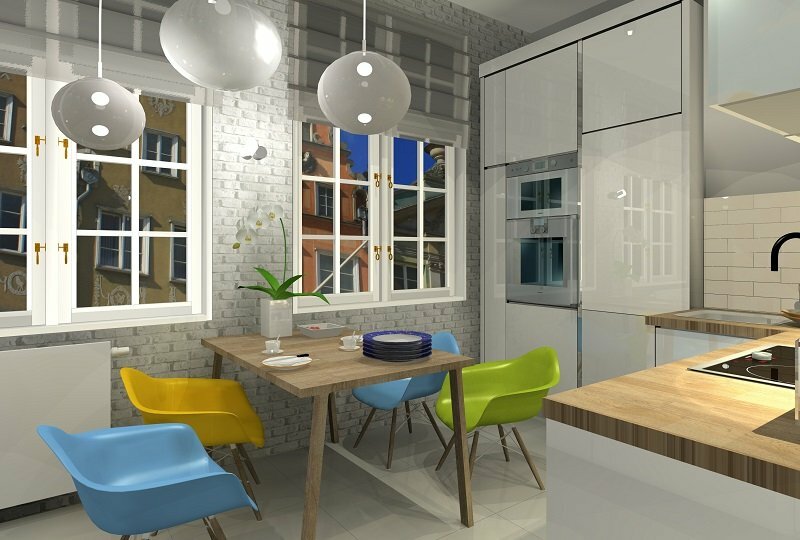 In the kitchens technology was the main factor accelerating changes, and with it ergonomics and understanding of functionality have changed. Considering all the broad issues related to kitchen design, this thought is best illustrated by cooker. Formerly popular gas cookers today are increasingly being replaced. On the one hand certain technical evolution takes place, which suggests the passage of gas cookers to electric cookers, and especially induction ones, and on the other hand, with the development of technology, focus on the issue of ergonomics increases. Instead of ovens placed directly on the floor, modern kitchen designs put them up in order you needn’t bend down or crouch when removing hot dishes. This is a change that is not directly related to the technology, but rather stems from the evolution of the perception of the role of the kitchen. For if kitchen is to be the heart of your home, it is obvious that cooking can no longer be just a duty, and therefore it must be in some way easier, and this is the purpose of such a seemingly little change of a huge impact on usability of the equipment. But there is something else that has appeared designing the kitchen. For some time, architects have significantly facilitated the use of kitchen by planning window. As a result, the kitchen is not only narrow, dark grille, slightly higher than the pantry. Today, even in small kitchens the access to daylight is provided, which is important for practical, economic and psychological reasons. 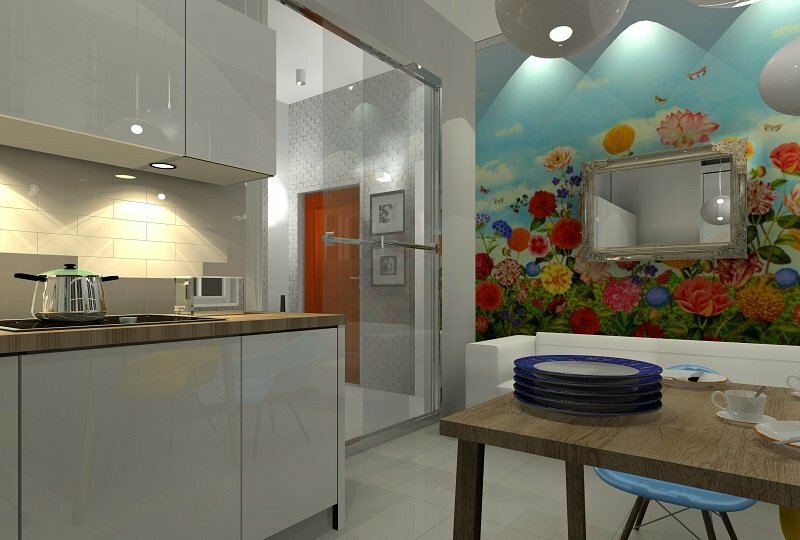 Development of interior design is therefore a natural consequence of change that took place in the design of the buildings, as the interior design is to allow for the extraction of each project what is best in it. Kitchen design, though, as we try to prove, was not the subject of any significant revolution, but it has become more difficult. 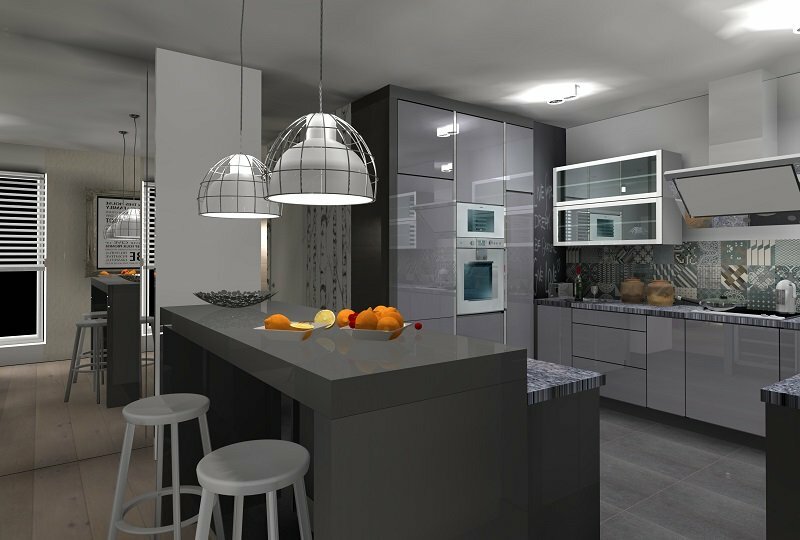 On the one hand, designers face higher demands, as investors more than they used to attach importance to the aesthetic, functional and prestigious finish of the kitchen, and on the other hand, possibilities of using modern materials and new technological solutions have increasingly expanded. Kitchens are the rooms in which so many points of smart home are installed. 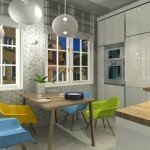 Of course – this results from the fact that here a lot of electrical and electronic equipment is installed, but for the interior designer it is not always easier – the smaller the kitchen is, the more difficult it is to combine different functions, which are expected by investors, and because the electronics need special treatment, creating perfect kitchen design is a task for the best arrangers.